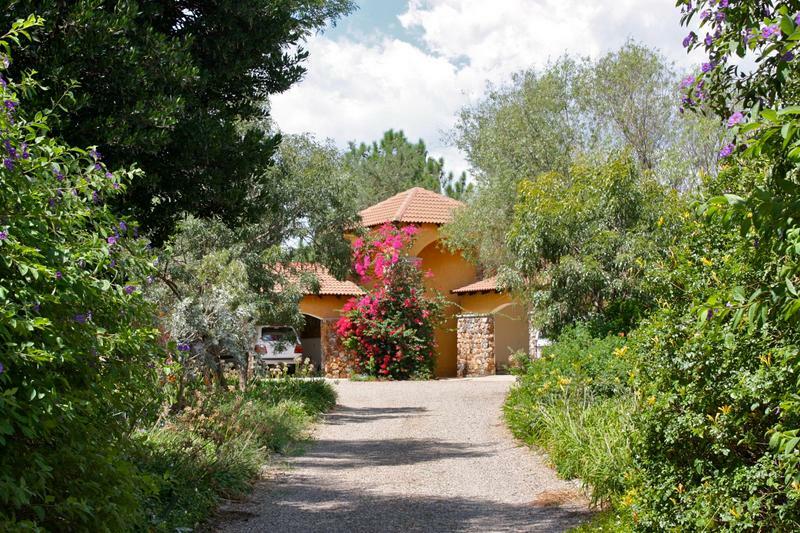 An Exclusive Equestrian Estate - Elegant farmhouse situated on a 2.2 ha stand with superior equestrian facilities. 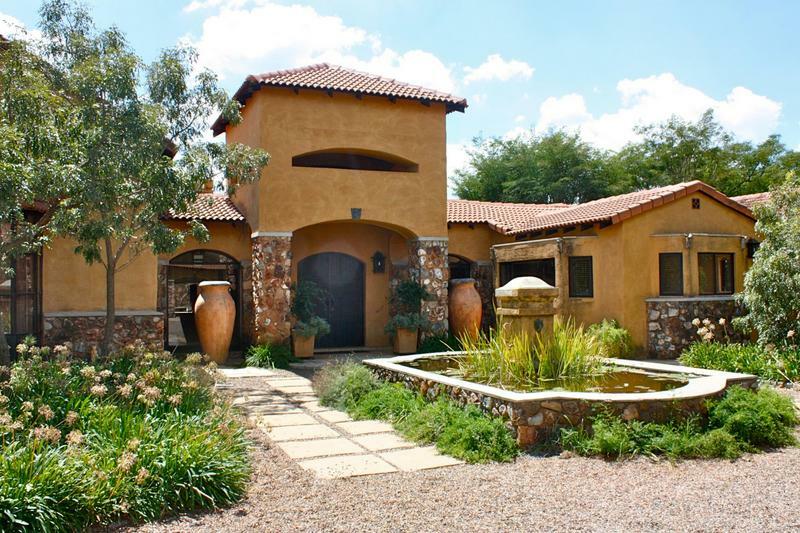 Beautifully landscaped indigenous gardens and feature dam! 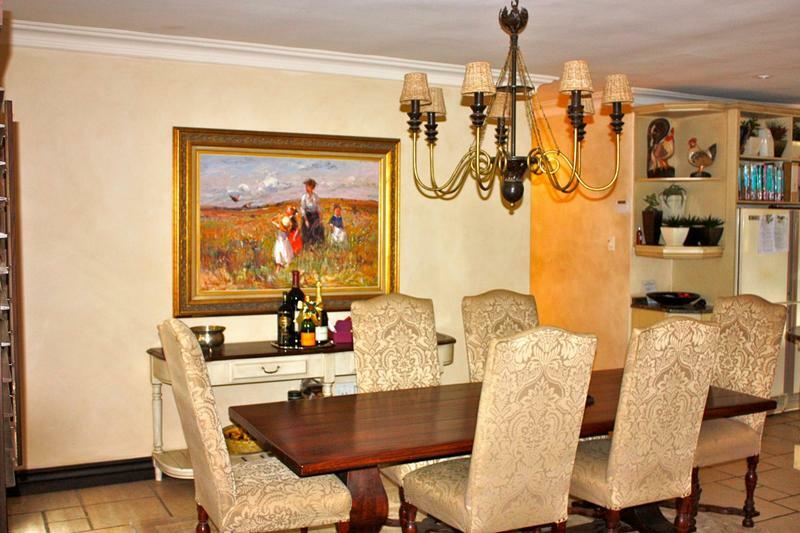 This Paul Boschoff designed character residence offers excellent flow throughout the home. Centrally located impressive entrance hall provides access to the varous living areas as well as to the fantastic under cover patio. 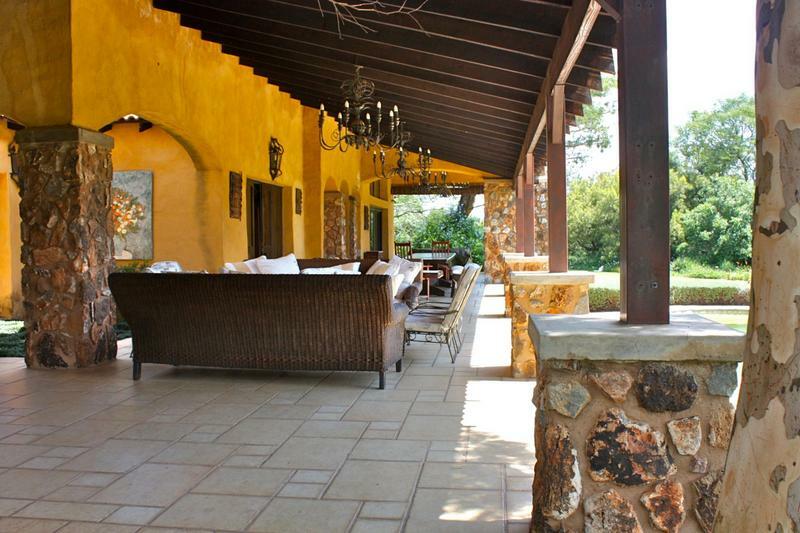 This superb patio area overlooks the magnificent gardens, dam and swimming pool area. 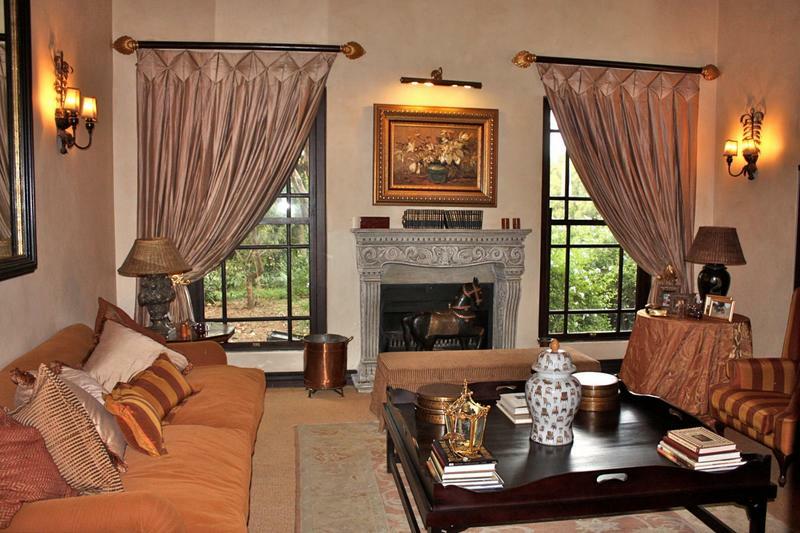 Formal lounge, a private room with a fireplace and double volume ceilings. Custom made sash windows, wooden stacking doors with shutters allow access to the outdoor patio area. Family lounge and dining room each have doors to various patio areas. 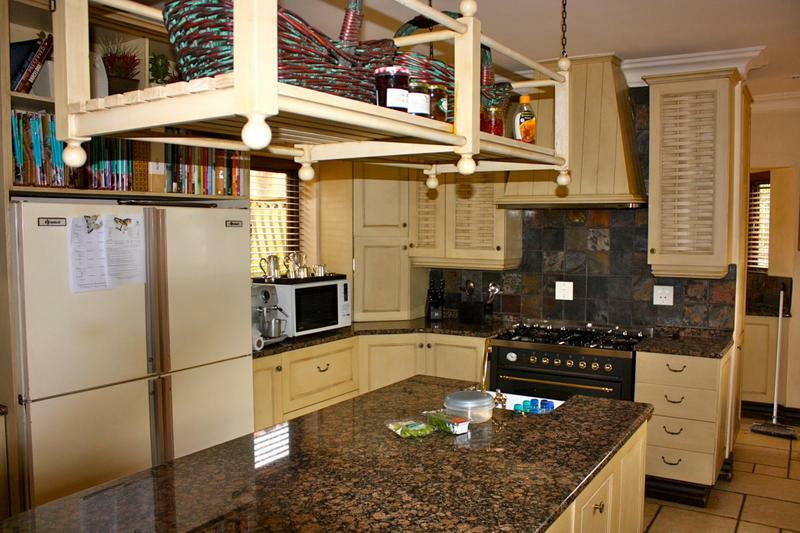 Open plan charming country kitchen - central island work area, gas hob, electric extractor and oven. Separate scullery. Private study with feature windows and fitted units. Basement wine cellar, a spacious room with endless possibilities. Guest cloakroom. 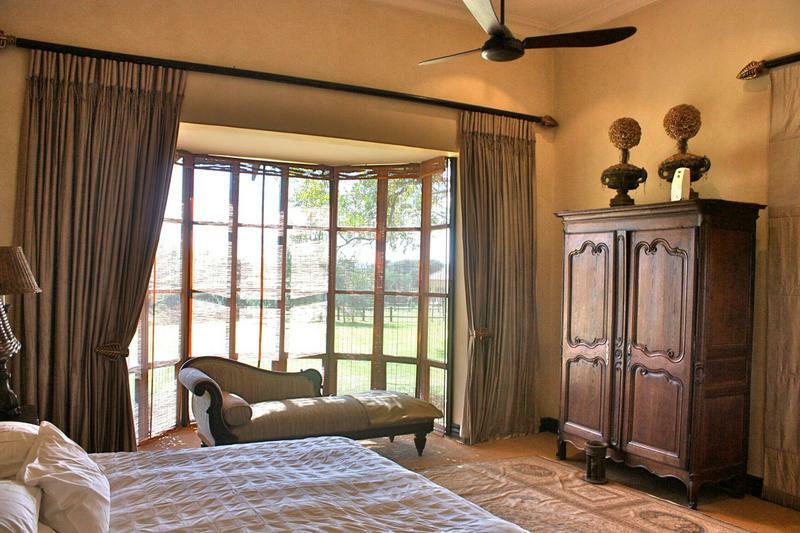 Main bedroom, a large room with extra high ceilings and feature floor to ceiling windows. Fitted dressing room with more that adequate cupboard space. This bedroom has its own private patio. 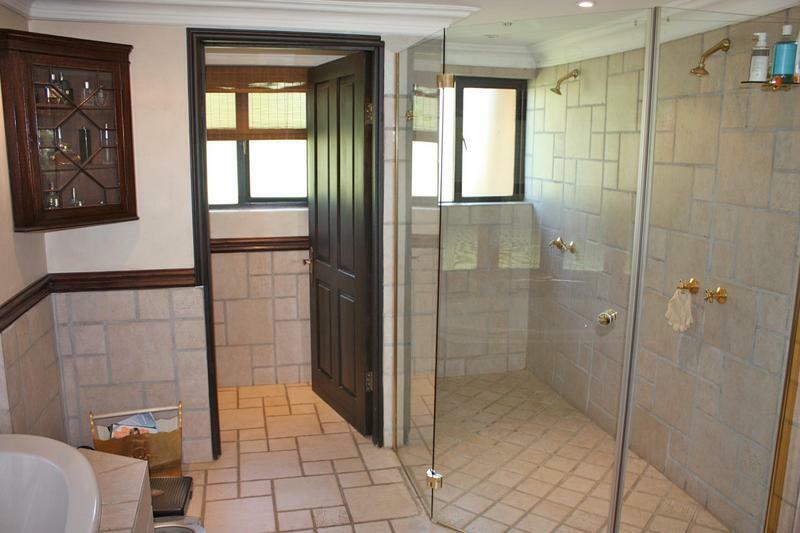 This stunning en-suite bathroom offers a oval bath, double glass shower and loo. The Second & third bedrooms have doors to the patio and pool area. Spacious rooms with built in cupboards. Sharing a family bathroom - bath, shower, double vanity and loo. A central workstation provides a convenient work area closely located to the bedrooms, overlooking the enclosed courtyard with water features and private garden. 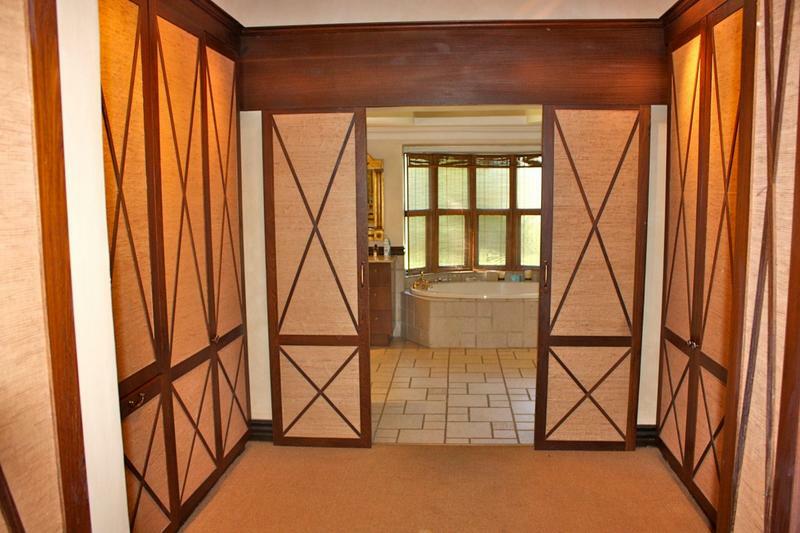 With its own entrance and a private lounge. 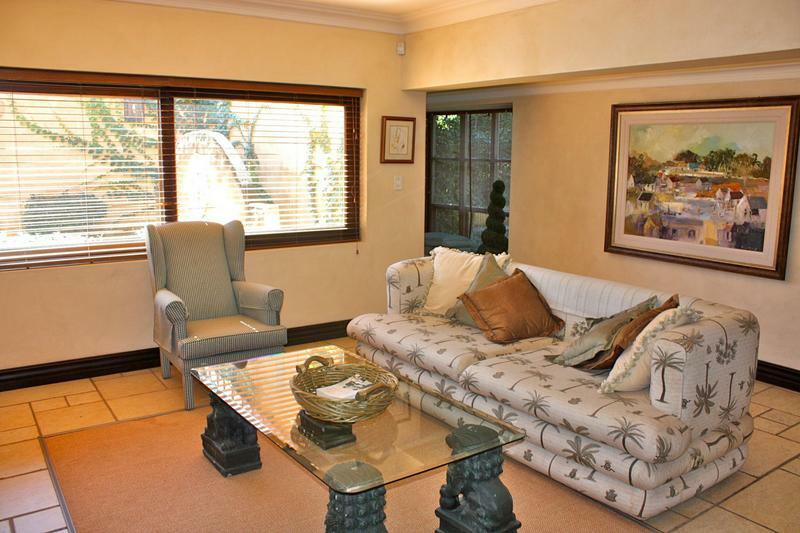 Spacious guest bedroom and bathroom consisting of a oval bath, shower, double vanity and loo. Exercise sand track around the property, approx. 800 metres * Five/six large brick stables * Tack room * 60 x 40 m arena with viewing gazebo * Treed paddocks * Groom suite located above the stable complex. 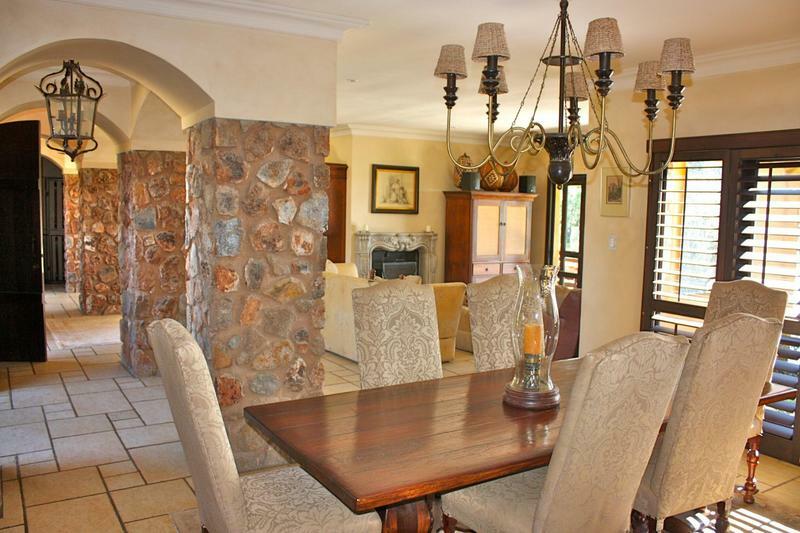 Open plan sitting area and kitchen * Two bedrooms with built-in cupboards * Bathroom. Walled and palisade road boundary * Alarm system * Automated main entrance gate * Security beams. Please note that these figures do vary and should be used for guideline purposes only.